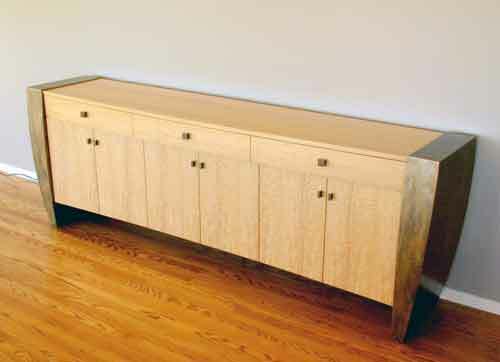 The drawers in this console curve outward and the doors curve inward. 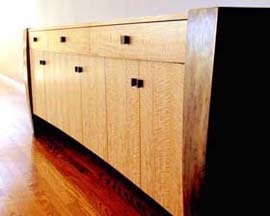 This is a slightly smaller version of the Todd Buffet. 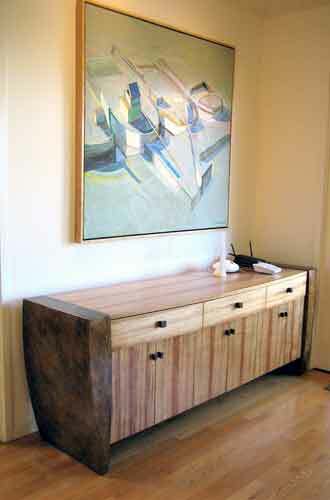 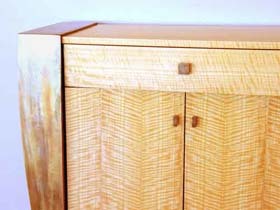 The buffet is in Koa wood and made to match the "Swoop" dinning table.